Please note that any advice on our website is for registered patients only and it should not be used as a substitute for seeking advice from a GP. Many acute strains and sprains will respond to a few days’ rest and paracetamol taken for the pain. An anti-inflammatory such as ibuprofen, available over the counter, may also be useful (but you must check with your chemist that you have no contraindication to taking an anti-inflammatory). With backache, it is generally recommended to remain as mobile as possible within the limitations of the pain, but to avoid heavy lifting or other activities which are likely to exacerbate the condition. If the symptoms continue, you should consult your GP. If you have blood pressure problems it is sensible to watch your weight, cut down on salt, limit alcohol, exercise regularly and stop smoking. You may like to discuss these issues with the practice nurse. Apply large quantities of cold water to the affected area as soon as possible and maintain this until the pain subsides. This may take as long as 15 minutes. If the skin is unbroken but blistered, apply a loose, dry dressing. If the burn is larger than four or five inches in diameter or if the skin is broken, consult the practice nurse or your doctor. On the first day a rash appears with small red spots about 3-4mm wide. Within a few hours these develop small blisters at the centre. During the next three or four days further spots will appear and the earlier ones will turn crusty and fall off. Calamine lotion may be applied to help the itching. The most infectious period is two or three days before the rash appears and until the last crusts have formed dry centres, usually seven to ten days after the rash started. Children may return to school as soon as the last crusts have dropped off. For healthy children it is generally a relatively mild condition and it is not usually necessary to see a doctor. It may be appropriate to seek medical advice for a child with other medical problems, and definitely for an adult. Please seek medical advice if you come into contact with chickenpox whilst pregnant. These usually start with a runny nose, cough, temperature and aches. They are caused by viruses and antibiotics are of no use in their treatment. Treatment consists of taking recommended doses of paracetamol for the temperature and aches and drinking plenty of fluids. Do not worry if you do not eat for a few days, you will come to no harm. Inflammation of the bladder is common in women. Typically there will be a burning sensation on passing water, you will need to go more frequently and the urine may be offensive. Drink plenty of fluids; a teaspoon of bicarbonate of soda in water may relieve the pain. Paracetamol may also help. If the problem persists for more than 24 hours consult your doctor and bring a sample of urine with you. In adults and older children, diarrhoea and vomiting will usually get better on its own. Treatment consists of replacing the fluid that you have lost and resting the digestive system by having nothing solid to eat for 24 hours. Sachets of powders such as Dioralyte and Rehidrat, which can be made into a drink, are available from the chemist. If the diarrhoea contains blood or there is severe pain or high fever, you should discuss it with your doctor. Diarrhoea and vomiting in small babies and young children should be treated with caution and the doctor will be happy to advise you about this over the telephone and arrange to see you if necessary. Suffering from glaucoma, or have a family history of glaucoma and you are 40 or over. Occasionally you may notice the sudden appearance of blood over the white of the eye. This is a subconjunctival haemorrhage caused by a broken vessel. It is not a danger to your sight, but it is worth getting a non-urgent appointment for the doctor to check your blood pressure. The blood itself will naturally absorb like a bruise. Even very young children can have a sight test. They do not need to be able to read or recognise letters to be tested adequately. The rash appears during the first day of the illness and usually covers the body, arms and legs in small pink spots about 2-4mm across and does not itch. There are usually no other symptoms apart from occasional aching joints. It is infectious from two days before the rash appears until the rash disappears in about four or five days. The only danger is to unborn babies and it is important to avoid pregnant women. Children are now routinely immunised as part of the MMR immunisation programme. Wash the wound thoroughly with water and a little soap. If bleeding, apply a clean handkerchief firmly to the wound for about five minutes. A dry dressing for a day or two will keep the wound clean and protect it from irritating clothing. A tetanus jab lasts 10 years. These creatures prefer clean hair and are not a sign of poor hygiene. Medicated shampoos can be obtained from the chemist without prescription. It is important for all members of the family to be treated. Most of these need no treatment: antihistamine tablets can be obtained from the chemist without prescription and will relieve most symptoms. The rash is blotchy and red and appears on the face and body on about the fourth day of feeling unwell and is often accompanied by a cough. It is most infectious two or three days before the rash appears until eight or ten days afterwards. Immunisation can prevent this disease. The symptoms are swelling of the salivary gland in front of one ear often followed a couple of days later in front of the other ear; glands under the chin may also swell. It is infectious for two or three days before the swelling starts until ten days after. If the pain is severe, you should consult your doctor. Immunisation can prevent this disease. All the above infections are caused by viruses and usually require no treatment from the doctor. However, if your child appears particularly unwell or you are worried, your doctor will be happy to give you advice. Sit in a chair (leaning forwards with your mouth open) and pinch your nose just below the bone for about 10 minutes by which time the bleeding usually stops. If bleeding continues, consult your doctor. It is very important to keep all medicines and toxic material out of the reach of children, preferably in a locked cabinet. Children should also be taught which plants are safe to handle. In the event of poisoning consult your doctor or the accident and emergency department immediately and let them know what has been taken, providing a sample of the substance if possible. First apply a cold compress containing ice for 15 to 30 minutes to reduce the swelling. Apply a firm crepe bandage and give a sprain plenty of rest until all the discomfort has subsided. Most attacks are not serious and are usually caused by indigestion or wind. A hot water bottle will often relieve the symptoms and in the case of indigestion a teaspoon of an antacid such as Milk of Magnesia will help. If the pain lasts for longer than eight hours or becomes increasingly severe, you should consult your doctor. Treat as for other burns with cold water to remove the heat. Calamine lotion will relieve the irritation. Children are particularly susceptible to sunburn and great care should be taken to avoid overexposure to the harmful effects of the sun. 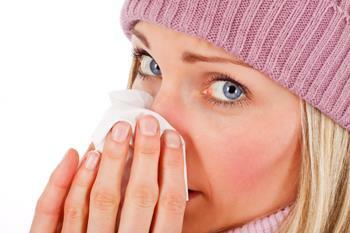 A temperature occurs commonly even with mild infections. In small children it is important to stop the temperature rising too quickly and children should be given paracetamol syrup, which may be bought from the chemist. If they still appear hot, they should be gently sponged with tepid water in order to cool them. If a temperature is very high and does not come down with the above treatment, you should consult your doctor. A child or adult with a temperature will not come to any harm being wrapped up and brought by car or by pram to the surgery. Thrush is a yeast infection that affects many women at some time in their lives. It is commoner in women who are pregnant, on the pill, diabetic or on antibiotics. It usually affects the vaginal area and causes intense itching and a white discharge. It usually requires antifungal agents to clear it up, but you can reduce the risk of getting repeated attacks by wearing loose airy clothing and avoiding nylon underwear, tight jeans and tights. This is a common problem which may be eased by taking aspirin or, for children under 16, paracetamol.